House Herston（House Herston） is a noble house from the Stormlands. 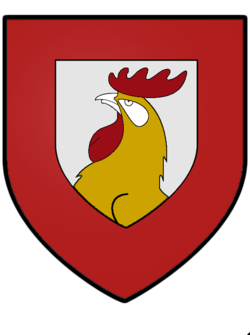 According to semi-canon sources they blazon their arms with a yellow rooster's head with red comb, within a white escutcheon, on red. Their words are not known.